Fresh water dispensers, complimentary Tea, Coffee and Biscuits for all clients and your visitors too. Register your business with the professional address it deserves. All Mailboxes are listed as suites so no one needs to know you are simply using a mailbox. Rooms available across multiple sites for 2 to 40 people, all at great rates with flexible booking options. High Speed Broadband across all locations, individual networks for suites and WIFI available in meeting rooms and Coworking areas. Never worry about buying ink cartridges again, with your own access code you have access to printing, scanning, copying and faxing all under the one roof with secure document release for those private papers. What office sizes are available? How long am I committed to stay with you? Your licence is very flexible and you only need to give Kent Space 4 weeks’ notice to vacate your office. All furniture is provided by Kent Space and included within your rental; we generally do not allow any furniture to be brought in. Can I restrict access to certain staff for set hours? Yes, our access systems are very flexible and will allow us to set time zones for your staff. 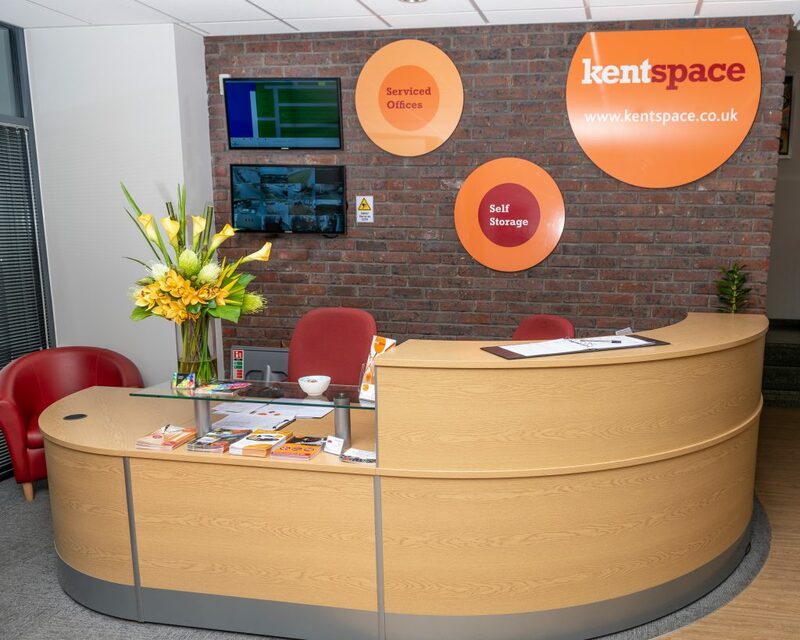 Kent Space provide the staples for setting up your office, desks, chairs, pedestals etc but should you require an additional cupboard or filing cabinet this would incur a rental charge along with your broadband and telephones. We can advise on costs for this upon your enquiry. We can set your office up within 24 hours. Kent Space has an in house cleaner 5 days per week to keep your office and all our public areas in pristine condition. Can I put stuff up on the walls? We are happy to hang anything you like on the walls of your office but ask that you use our maintenance services for this to avoid any unnecessary damages. Can I register my business with company’s house or HMRC at your address? Yes we would recommend you set up a mailbox address for this purpose. Can you answer my calls? Yes we are able to take calls and answer them in your company name.